Guernsey's run in the Founders Cup has ended with a defeat by Oxford Brookes Devils in the final, held in Leeds. The channel Islanders led Saturday's final at the end of both the first and second quarters, but the Devils came from behind to eventually win 73-67. Guernsey captain Aaron Walden told BBC Radio Guernsey: "It was a brilliant environment, being able to play in a national final. We all enjoyed it. "It was a very close game. On another day it could have been different." 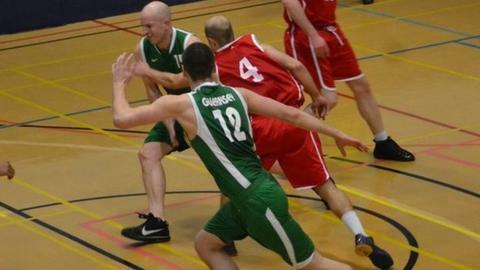 Guernsey's attention now turns to the annual inter-insular match against rivals Jersey in May. "Our biggest game of the season is the game against Jersey and it always will be" Walden added. "Last year, [against Jersey] we played really well. We didn't expect that. We ended up winning by 61 points, which is a record and was an amazing comeback after the year before. "If you lose that game, it's absolutely horrible. "After losing this final, we've got five to weeks to put things right before the inter-insular. That's why we entered the Founders Cup."